Take tangling beyond paper to create fashionable accessories and wearable art. You can embellish paper, shrink plastic, polymer clay, dominoes, bottle caps, wood and resin to create fabulous jewellery. 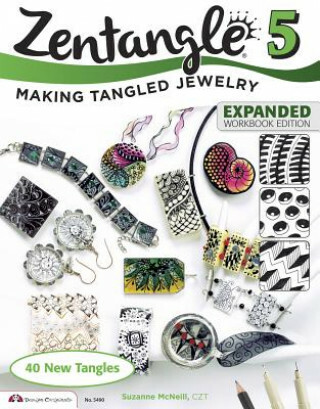 With 40 original tangles, use the expanded workbook section to put all the knowledge you've gained about the Zentangle method into practice with draw-it-yourself tangles, shading practice and jewellery design exercises.